A well presented three bedroom semi detached house situated in the picturesque village of Ivinghoe. Allowing further potential to extend (STPP) the property is offered to the market enjoying wonderful views and comprises; Lounge, Kitchen, Conservatory, substantial rear garden and off road parking for numerous cars. Double glazed window to side aspect, door to lounge, stairs rising to first floor. Double glazed window to front aspect, electric feature fireplace, radiator. Fitted with a range of storage units at base and eye level, stainless steel sink with drainer unit and mixer tap, space for washing machine, fridge freezer and cooker with extractor fan over. Storage larder cupboard with doors to bathroom, lounge and conservatory. Double glazed window to rear aspect. 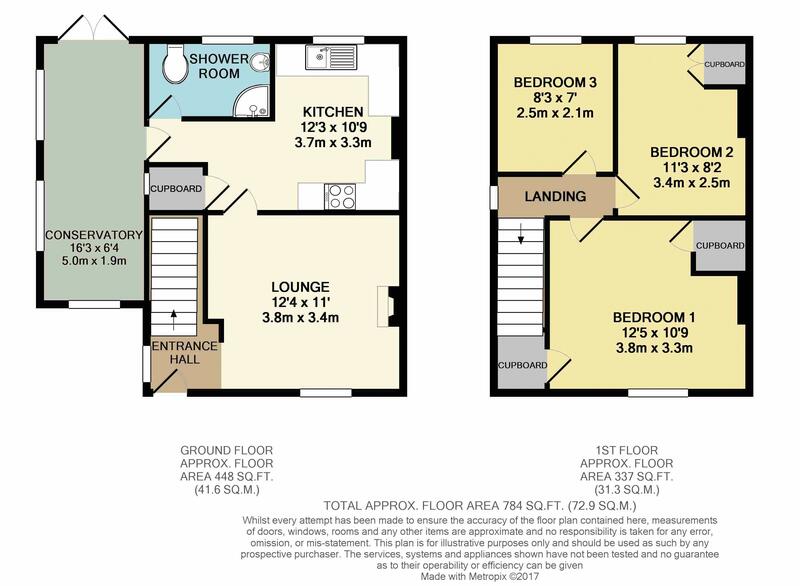 A three piece suite with low level W.C, wash hand basin with vanity unit under, corner shower unit, double glazed frosted window to rear aspect, fully tiled surround, heated towel rail along with extractor fan. A brick base built double glazed triple aspect room with space for tumble dryer, radiator and double glazed patio doors leading to garden. Doors to all rooms, double glazed window to side aspect, access to loft space. Double glazed window to front aspect, two storage cupboards, radiator. Double glazed window rear aspect, storage cupboard housing gas central heating combination boiler, radiator. Shingled driveway parking for numerous cars, pathway leading to front door and side access, lawn area with hedging and fencing to side. Fully enclosed with panel fencing with patio seating area leading to lawn with raised shrub beds, mature trees and shingled area. Access to brick outhouse with water point and lighting, further shed storage, along with gated side access with external lighting and power points.